Tapas Kundu received his B.Sc.(Ag.) Hons. and M.Sc. (Biochemistry) in 1986 and 1989 respectively, following which, he was awarded his Ph.D. from the Indian Institute of Science, Bangalore, in the year 1995, for his work on “Zinc-Metalloprotein Nature of Rat Spermatidal Protein TP2 and its Interactions with DNA” . Following his Ph.D., he had a short stint as a visiting foreign research associate in the National Institute of Genetics, Mishima, Japan, during which, he contributed to the field of prokaryotic transcription. During his stay at the Rockefeller University, USA (1996-99), the focus of his work shifted to epigenetic regulation of eukaryotic transcription, in which he continues making seminal discoveries till date. He joined JNCASR as a Faculty fellow in 1999, and is now a Professor. Academic and Research Achievements: Professor Tapas K. Kundu has made outstanding contribution in the area of regulation of human gene expression (Transcription) and its link to disease and therapeutics. He is not only elucidating the mechanisms of transcription regulation through epigenetic modifications in humans, but also targeting them to design new generation cancer diagnostics, as well as therapeutics for cancer and AIDS. In brief, he has discovered transcriptional coactivator, PC4 as a novel non-histone component of chromatin and activator of p53 function. The nucleolar protein, NPM1 was shown to have RNA polymerase II driven transcriptional coactivation activity which is acetylation and chromatin dependent. Presently, his group has linked this function to cancer manifestation. They have discovered several small molecule modulators of chromatin modifying enzymes in an elegant manner, which could serve as excellent molecular probes to understand the functions of these enzymes in vivo and also be useful in designing new generation therapeutics. Over the years, he has published several research papers in many international journals such as Journal of Biological Chemistry, Molecular Cell, Molecular and Cellular Biology, Chemistry and Biology, Journal of Medicinal Chemistry, Nano Letters etc. Several patent applications from the laboratory have been granted and a few are also under process. This also includes several academically important research reagents with potential commercial values. A few compounds discovered from his group have been commercialized by renowned companies, and are being considered for therapeutic applications. He was instrumental in organizing several international meetings, including the meetings for the ‘Asian Forum for the Chromatin and Chromosome Biology’, held every two years for the scientists and students in the field of epigenetics and chromatin biology, especially from Asian countries. Along with this, he is also contributing to increasing awareness among the younger subset of our population by organizing seminars for school children in remote areas of the country. 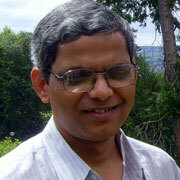 Prof.Kundu is the editorial board member of ‘Journal of Biological Chemistry’. Professor Kundu is the recipient of numerous awards, noteworthy among which are: the Shanti SwarupBhatnagar prize from CSIR (2005), the JC Bose National Fellowship from DST (2010) and more recently, the GD Birla award for scientific research (2011). He has also been awarded the National Bioscience award for career development by DBT (2005) and the lecture medal from Tohoku Medical Society, Japan (2010). In 2008, he was awarded the National Academy of Science, India- Reliance Industries Platinum Jubilee Award. Dr.UtpalNath did his PhD from National Centre for Biological Sciences, TIFR Centre, Bengaluru in the area of protein folding, followed by a postdoctoral training at the John Innes Centre, Norwich, UK on plant organ morphogenesis. 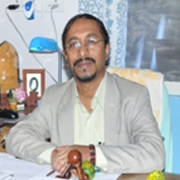 He joined the Department of Microbiology and Cell Biology at the Indian Institute of Science over a decade ago and established a laboratory of plant growth and development. His major interest is to decipher the genetic pathways that regulate organ growth and shape in plants using Arabidopsis thaliana as a model system. He is also studying the evolution of these developmental mechanisms.